Annie Finch's Spells brings together her most memorable and striking poems written over forty years. Finch's uniquely mysterious voice moves through the book, revealing insights on the classic themes of love, spirituality, death, nature, and the patterns of time. A feminist and pagan, Finch writes poems as "spells" that bring readers to experience words not just in the mind, but in the body. Celebrated for her extraordinary love and knowledge of poetic craft, over the course of her career Finch has shaped her own innovative and radically traditional aesthetic. Her strange but familiar metrical language decenters the Self, creating a new, more open emotional relationship between ourselves, other people, and the world. 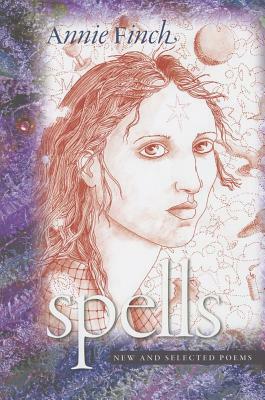 Spells displays Finch's virtuosity in a broad range of genres and forms, from lyrics, chants, and narrative poems to performance pieces, poetic drama, and verse translation. The book also includes a number of new and previously unpublished poems, notably her 1980s-era "Lost Poems," experimental work in meter that prefigures postmodern reclamations of poetic form. This wonderfully talented poet gives voice to the female and earth-centered spirituality of our era. Her emotionally eloquent and rhetorically powerful work will echo in the reader's ear long after the book is closed. Check for the online reader's companion at http: //spells.site.wesleyan.edu. ANNIE FINCH is a professor of English and director of the Stonecoast MFA Program at the University of Southern Maine. She is the author of five books of poetry, including Calendars.